About Serum Institute Of India Pvt. Ltd. This Web Site has been developed by Serum Institute of India Pvt. Ltd. who maintain this site for your personal information, education and communication. This information is not intended as a substitute for advice, treatment, or recommendations from health care professionals. Serum Institute of India Pvt. Ltd. is not engaged in rendering medical advice or services. The Site may, from time to time, contain information relating to various medical conditions and their treatment. Please consult a medical professional before using any drug product discussed within this Web site. Serum Institute of India Pvt. Ltd. makes no representation or warranties as to the accuracy of any information contained herein and expressly disclaims any obligation to update said information. Your use of the Site is at your own risk. Neither Serum Institute of India Pvt. Ltd. nor any other party involved in creating, producing, or delivering the Site is liable for any direct, incidental, consequential, indirect, or punitive damages arising out of your access to, or use of, the Site. This includes damages to, or viruses that may infect, your computer equipment. Everything on the Site is provided to you "AS IS," without warranties of merchantability, fitness for a particular purpose, or non-infringement. Copyright in the pages and in the screens displaying the pages, and in the information and material therein and in their arrangement, is owned by Serum Institute of India Pvt. Ltd. unless otherwise indicated. You may freely download material from the Site. Any downloaded material can be used by you for personal, non-commercial use. You must retain and reproduce each and every copyright notice or other proprietary rights notice contained in any Information you download. You may not, however, distribute, modify, or use the content of the Site for public or commercial purposes. This site or any portion of this site may not be reproduced, duplicated, copied, sold, resold, visited, or otherwise exploited for any commercial purpose without express written consent of Serum Institute of India Pvt. Ltd. The trademarks, logos, and service marks displayed on the Site are registered and unregistered trademarks of Serum Institute of India Pvt. Ltd. and others. Any communication or material you transmit to the Site by electronic mail or otherwise will be treated as, non-confidential and nonproprietary. 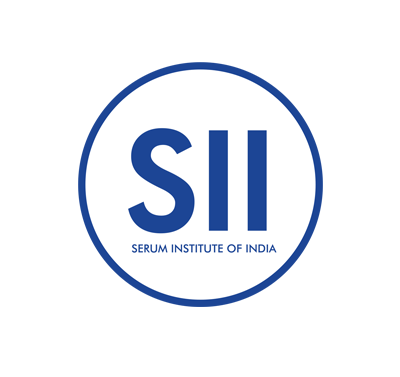 Serum Institute of India Pvt. Ltd. reserves the right to alter or delete material from the Site at any time. Serum Institute of India Pvt. Ltd. may at any time revise these Terms and Conditions by updating this posting. You are bound by any such revisions and should therefore periodically visit this page to review the then current Terms and Conditions to which you are bound.